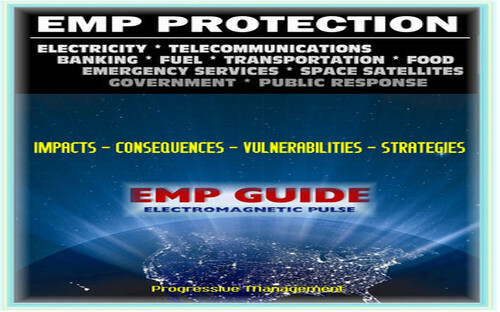 The Heritage Foundation commendably warns on April 4, 2018, in “The Danger of EMP Requires Innovative and Strategic Action,” that natural and manmade electromagnetic pulse (EMP) could blackout electric grids catastrophically. Therefore, EMP deserves high-priority from the White House, Congress, and electric power industry. Unfortunately, as a life-long admirer of Heritage Foundation’s usually excellent work, it’s my sad duty to warn this report falls short, often straying far from the Congressional EMP Commission’s authoritative findings. Heritage gives equal or greater weight to junk science studies by the electric power industry grossly underestimating EMP threats. The authors do not appear to understand the entire purpose of congressional commissions, like the EMP Commission, is not just to provide another opinion, but to give the best answers science can provide for public policy purposes. The 2004 and 2008 EMP Commission reports are still the best analysis of the threat. Their recommendations should be the basis for public policy. Twelve new EMP Commission reports currently are undergoing security classification review by the Department of Defense. These reaffirm the 2004 and 2008 EMP Commission findings about EMP threat severity. They debunk propaganda “studies” by the electric power industry — North American Electric Reliability Corporation (NERC), Electric Power Research Institute (EPRI), Edison Electric Institute (EEI) and others — that, through incompetence or dishonesty, obfuscate EMP severity. The new EMP Commission reports reaffirm that natural and nuclear EMP are existential threats and make additional recommendations. For a preview, see EMP Commission Chairman Dr. William Graham’s Oct. 12, 2017 testimony, “North Korea Nuclear EMP Attack: An Existential Threat,” to the U.S. House Homeland Security Committee, Subcommittee on Oversight. The biggest hole in the Heritage EMP report is that it parrots Obama-holdovers still embedded in the Department of Energy (DOE) and Department of Homeland Security (DHS) who are working hand-in-glove with the electric power industry against protecting the national electric grid from EMP immediately. They argue protecting the grid and other critical infrastructures from EMP is premature. Allegedly, the EMP threat is not yet well enough understood. Untrue. The EMP Commission had access to classified data (unlike NERC, EPRI, EEI) and comprised the foremost experts in the Free World. The Commission performed experiments on EMP simulators and other analysis proving the necessity for hardening the grid — right now. 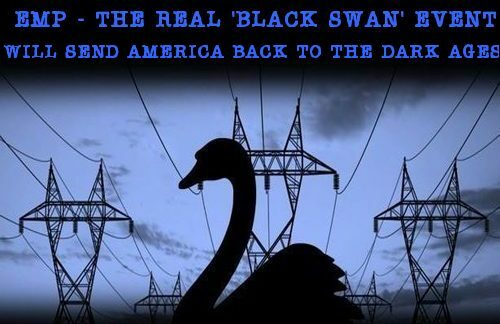 Common sense alone, the demonstrated fragility of the electric grid — where small-scale failures almost routinely cascade into major blackouts, including during hurricanes and heatwaves — should be sufficient for everyman to know the grid cannot survive an EMP. The Heritage report is endorsing the Obama administration’s policy of endlessly studying EMP as an excuse to do nothing about protecting the grid. Anti-nuclear Obama-holdovers, DOE’s national labs looking for money, and the electric power industry are all happy to use EMP as a cash cow to support endless studies that serve their peculiar ideological and institutional interests — at the expense of American national security. Contrary to Heritage, NERC and the electric power industry have no expertise in EMP; are not themselves competent to protect the grid from EMP, cyber, or physical sabotage; have a long record of dishonesty in producing junk science studies lowballing EMP threats and promoting non-solutions; and are institutionally committed to their share-holders, not to the public interest or to national security. Trusting NERC to protect the American people is like trusting the fox to guard the henhouse. Contrary to Heritage, a ballistic missile is not needed to make an EMP attack. Anything that can loft a nuclear warhead to an altitude of 30 kilometers or higher can make an EMP. This includes some cruise missiles, a jet doing a zoom-climb — even a balloon. Heritage describes the EMP threat as “high-consequence, low-likelihood” and the possibility of terrorist EMP attack as “highly unlikely” — pretending that “likelihood” is knowable. The 9/11 attacks were considered highly unlikely until the day before they happened. Nor is likelihood even relevant when dealing with an existential threat. Some threats, like nuclear war and EMP attack, demand our best efforts to protect the American people regardless of often erroneous guesswork about “likelihood.” In fact, the likelihood of natural EMP from a solar-superstorm is 100 percent (12 percent per decade, according to NASA). Contrary to Heritage, many regard terrorist nuclear attack as the most likely nuclear scenario — perhaps a growing threat given North Korea’s stated willingness to sell nuclear weapons. And Iran, that almost certainly has a clandestine nuclear weapons program, is the world’s leading sponsor of international terrorism. Terrorist groups, like the Houthis, have ballistic missiles and know how to use them. All any terrorist group needs is a nuclear weapon, and an EMP attack against the U.S. could be delivered off a freighter — as practiced by Iran. Contrary to Heritage, ballistic missile defense is a necessary part of the solution to EMP, but it is not the best defense. The best defense is hardening the grid against nuclear EMP attack — the worst threat — which will also mitigate threats from natural EMP, non-nuclear EMP weapons, cyber-attack, sabotage, and severe weather. This story originally published here. Dr. Peter Vincent Pry is executive director of the Task Force on National and Homeland Security. He served in the Congressional EMP Commission, the Congressional Strategic Posture Commission, the House Armed Services Committee, and the CIA. He is author of “Blackout Wars.” For more of his reports, Go Here Now.